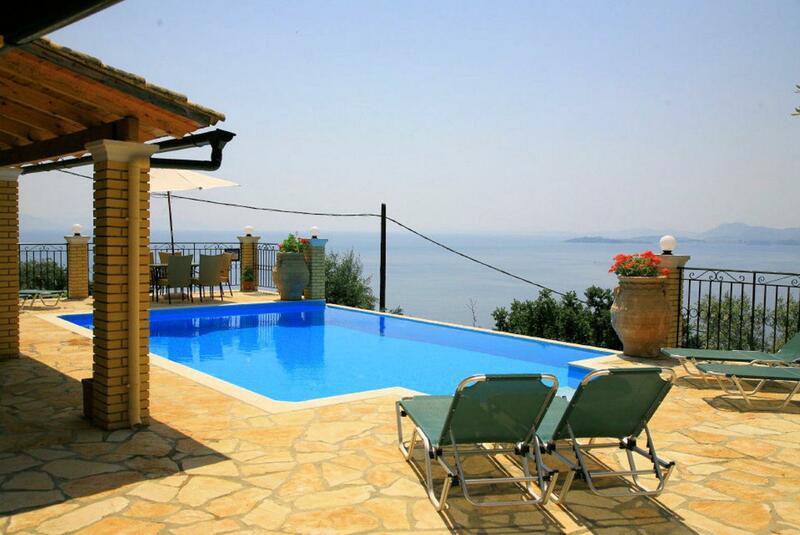 Villa Kefalaki is located in Nissaki on the Greek island of Corfu. 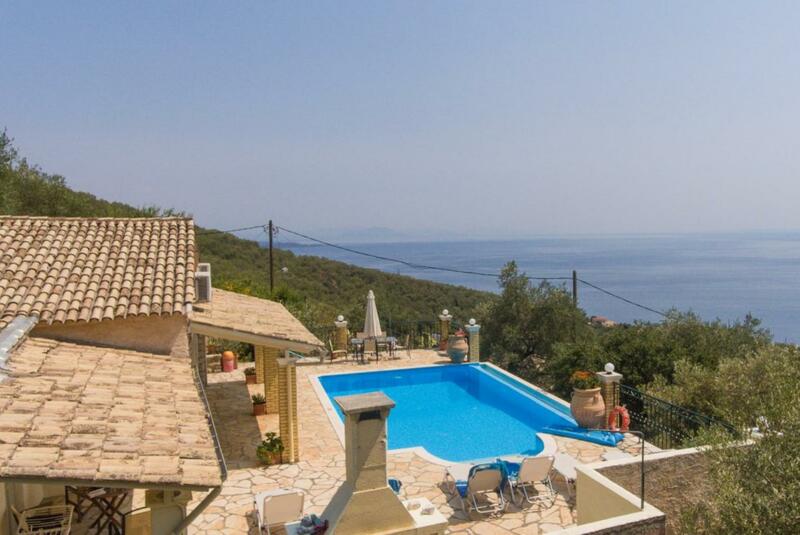 This detached vacation rental property is air-conditioned and sleeps up to 7 people with 3 bedrooms, 2 bathrooms along with private swimming pool and sea views. 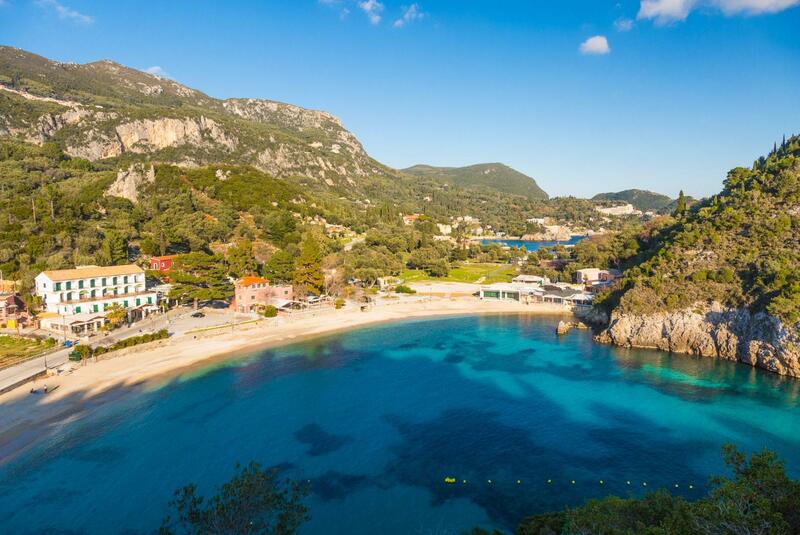 The villa is walking distance to the beach and restaurants. Entry to the villa is via the main terrace, reached by a few steps up from the parking area. 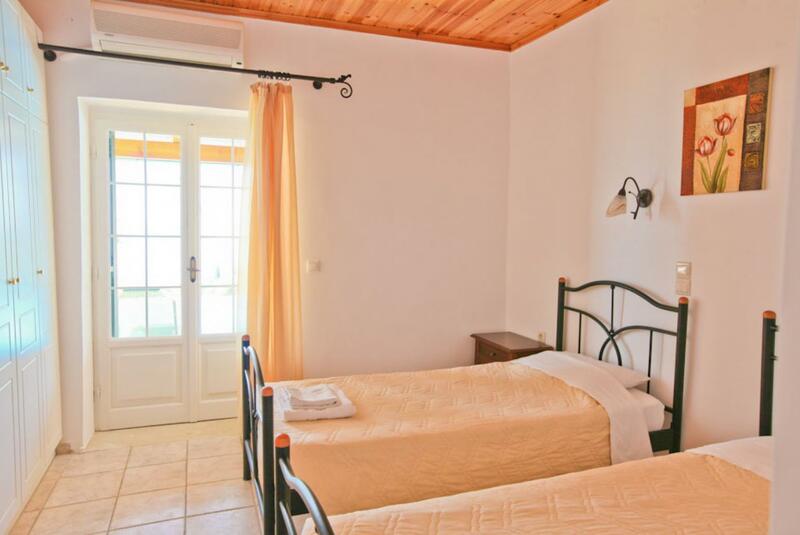 Once inside, all rooms are on one level with no steps throughout making Villa Kefalaki suitable for anyone with mobility problems. 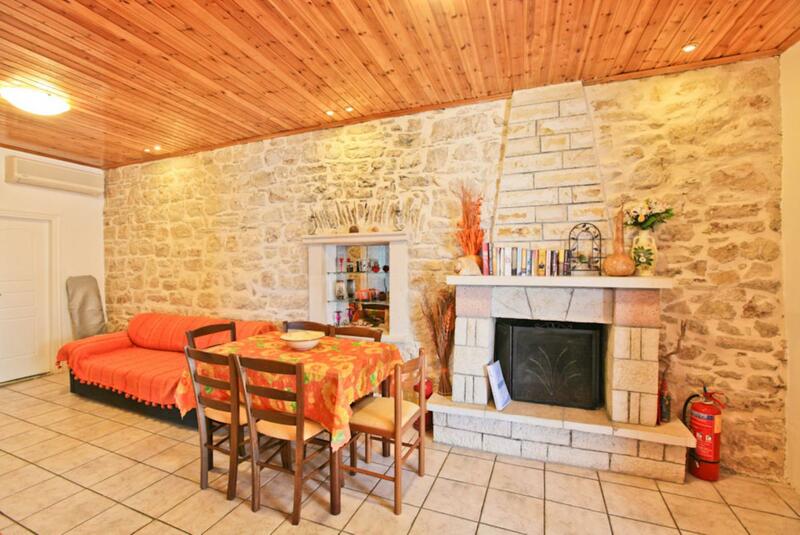 The living room has sofas, WiFi Internet, Satellite TV, DVD player, dining area and ornamental fire place. 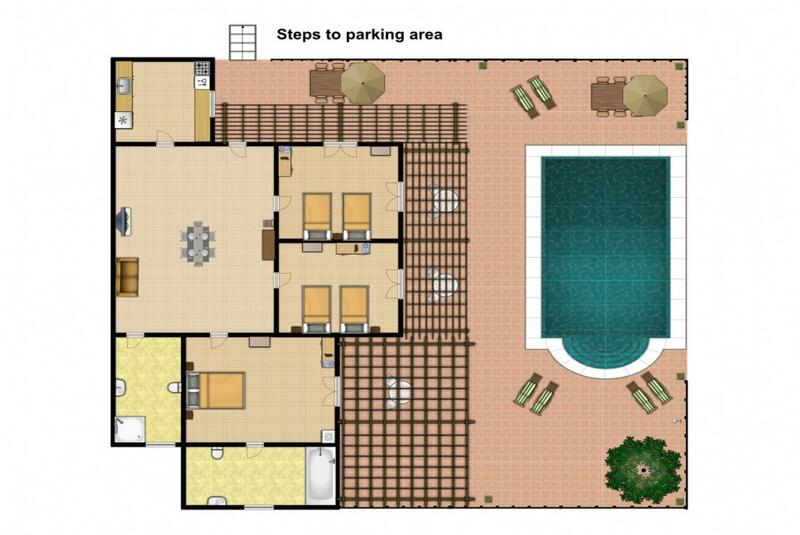 There are patio doors to the pool terrace along with sea views. 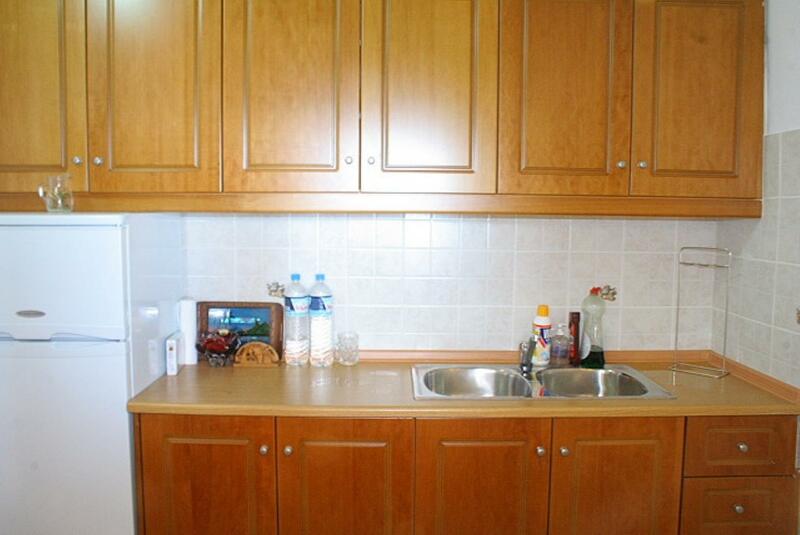 The kitchen features: full oven, fridge/freezer, dishwasher, washing machine, filter coffee machine, toaster and kettle. There is also a Barbecue. If an additional bed is required there is 1 folding bed. 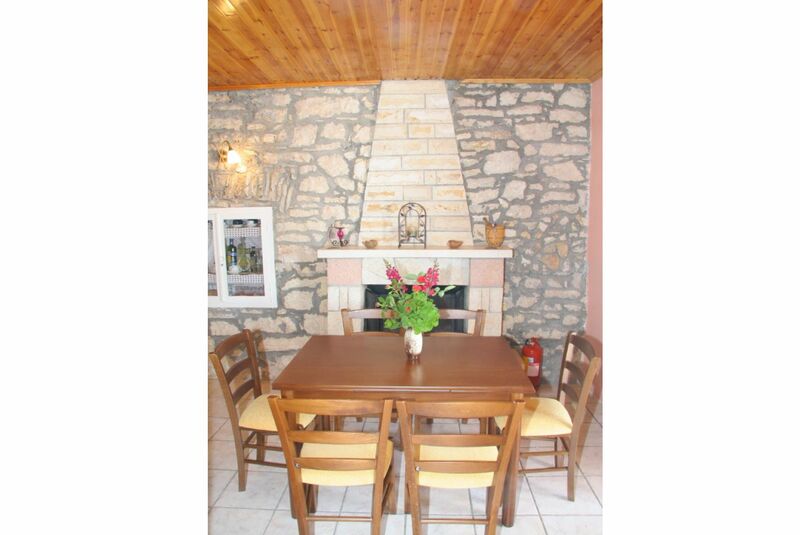 Villa Kefalaki can sleep up to 7 people. 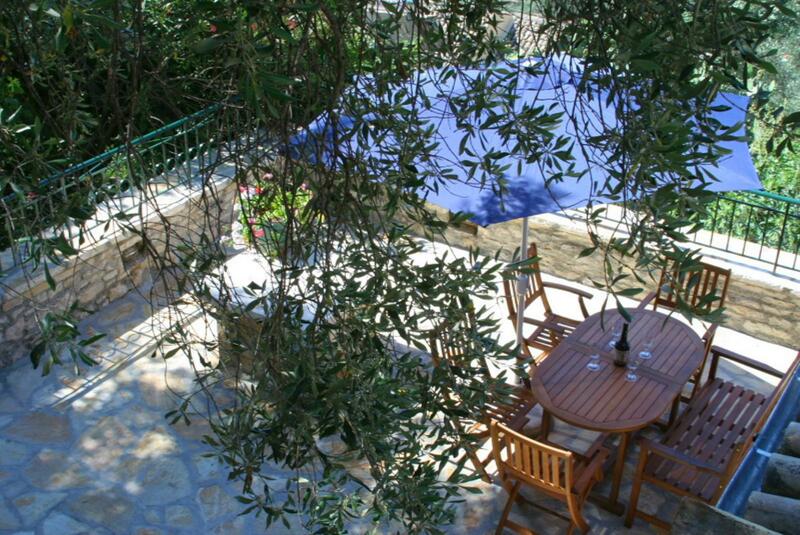 From the moment we arrived we were completely delighted with Villa Kefalaki. The view was outstanding, it was away from all the hustle and bustle of the busy road further down the mountain, but very easy to get to the local supermarket. 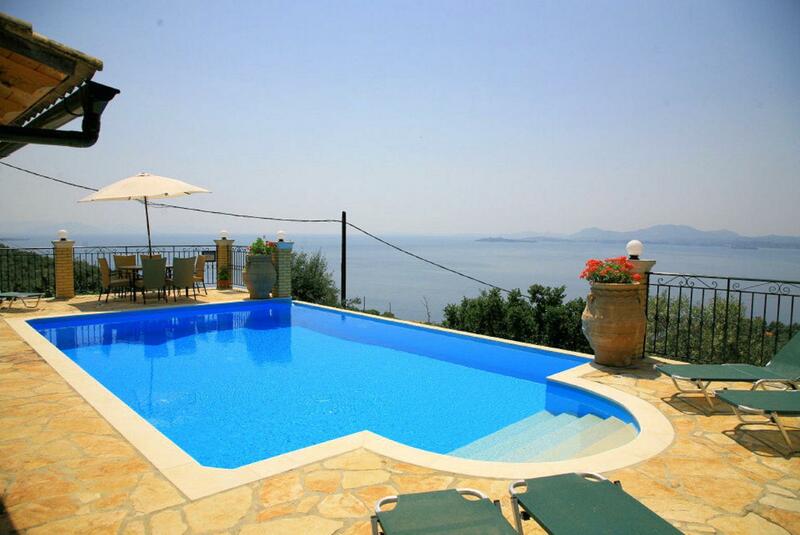 We have always stayed in villas all over europe, and Villa Kefalaki is definitely our favourite. The pool is perfect, and it was lovely to have evening swims with the pool lights. 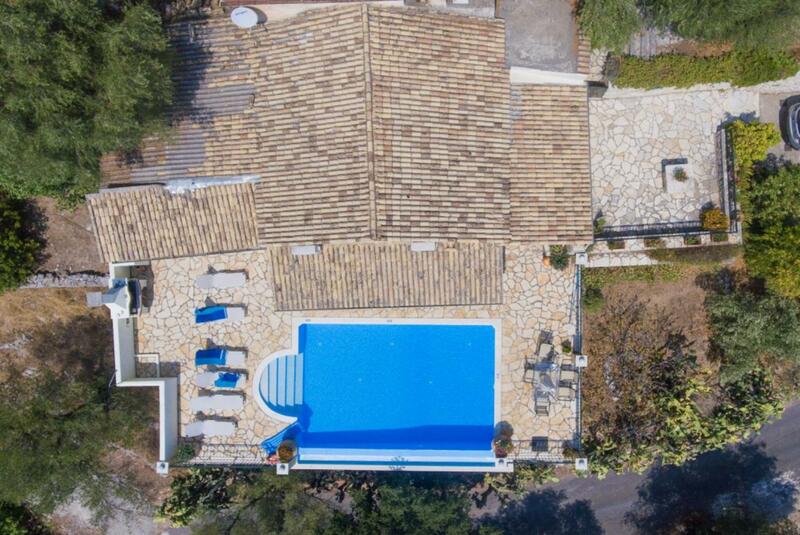 The villa has a good layout with all bedrooms opening out on to the pool area. There are shaded areas to escape the sun if need be. We will definitely return, thank you. 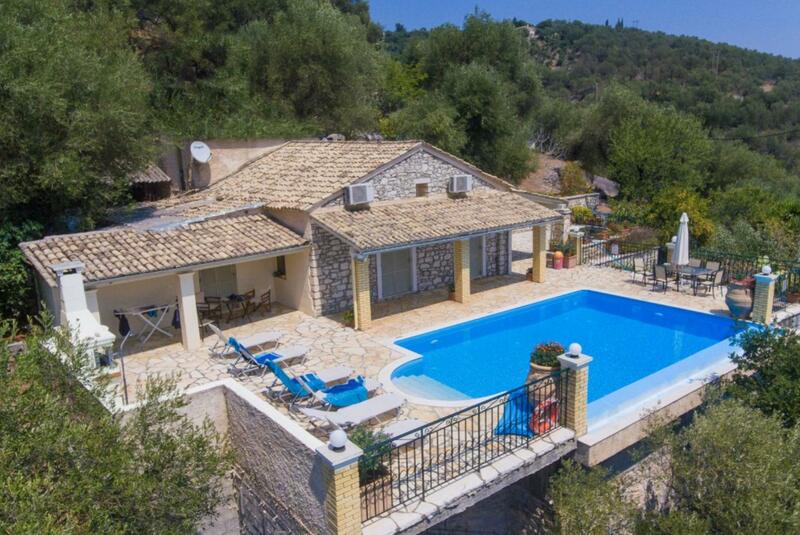 Excellent stay - lovely well kept villa and pool area. Beautiful brows . Very clean and well equipped. Pool towels would have been nice. We had a lovely time. Villa was rustic but pleasant. Very friendly people in supermarket deliver your shopping for you. Restaurant vitamins ate in there every night fabulous food and staff. The Agni Travel Team did a very good job. The description of the way from Korfu-Airport to our destination was excellent! 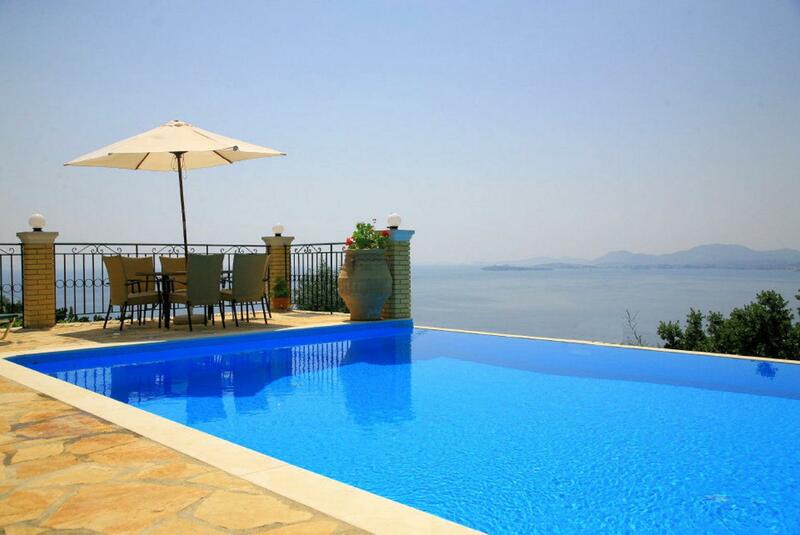 We have had a very relaxing stay in Villa Kefalaki. Last but not least: Thank You to Aphrodite, the friendly and helpful owner of a Mini-Market. If You need help or if You had a question, ask her. 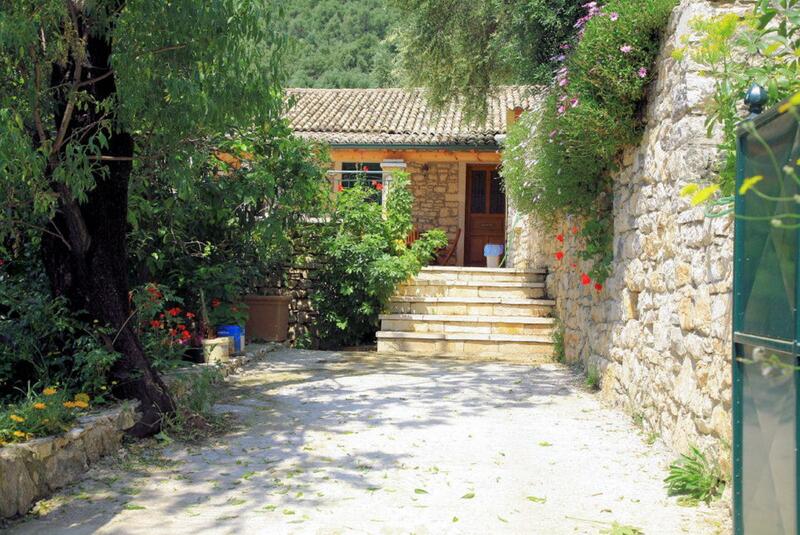 Comfortable villa in peaceful location and spotlessly clean. The views are outstanding over the bay and of the mountains behind. A few minor issues during our stay but a text to Agni soon had the owner on his way and all issues were quickly resolved. A 10 minute walk down the hill to the supermarket and Tavernas maybe 15 -20 minutes back up depending on how much you've had to eat or drink. 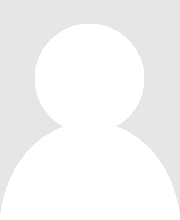 Good service from both Agni and the owner and would highly recommend. 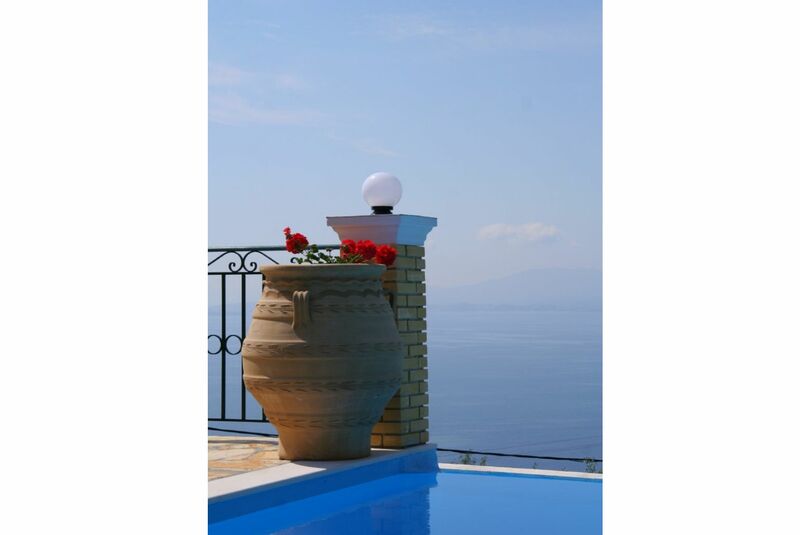 We had a wonderful stay at Villa Kefalaki. 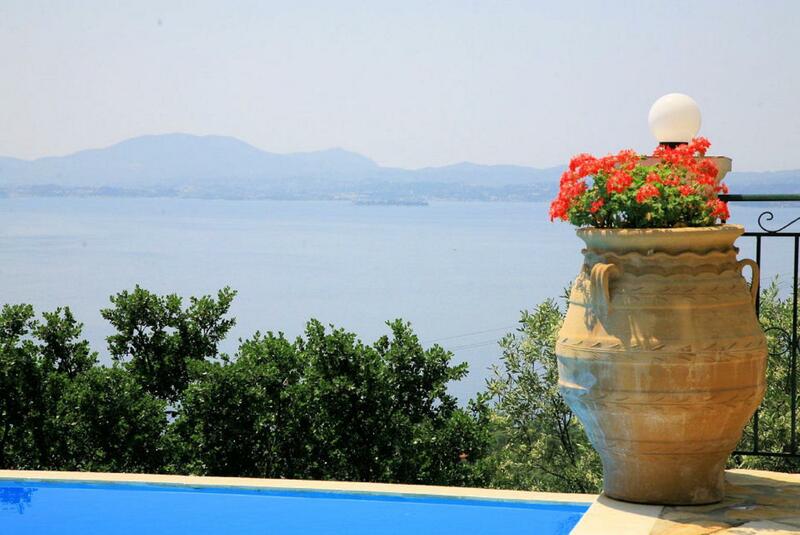 We particularly enjoyed the outside area and pool and the views were breathtaking. The pool maintenance man and maid were very kind and friendly and we would certainly recommend this villa to our friends and family. 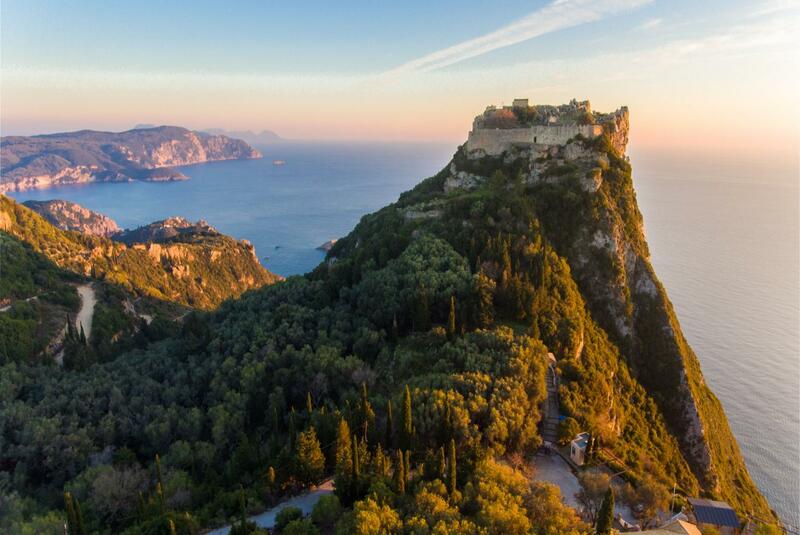 Beautiful location and views. Pool lovely. 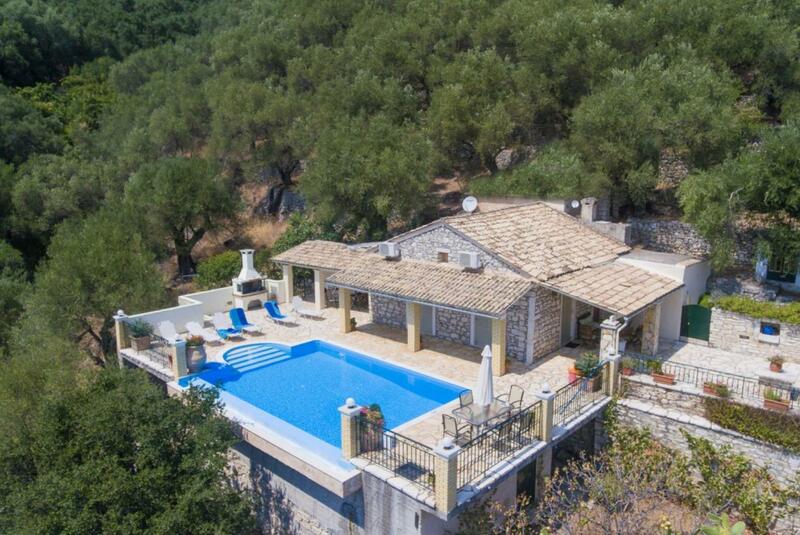 Villa much more spacious than the photos suggest and property was a good standard. 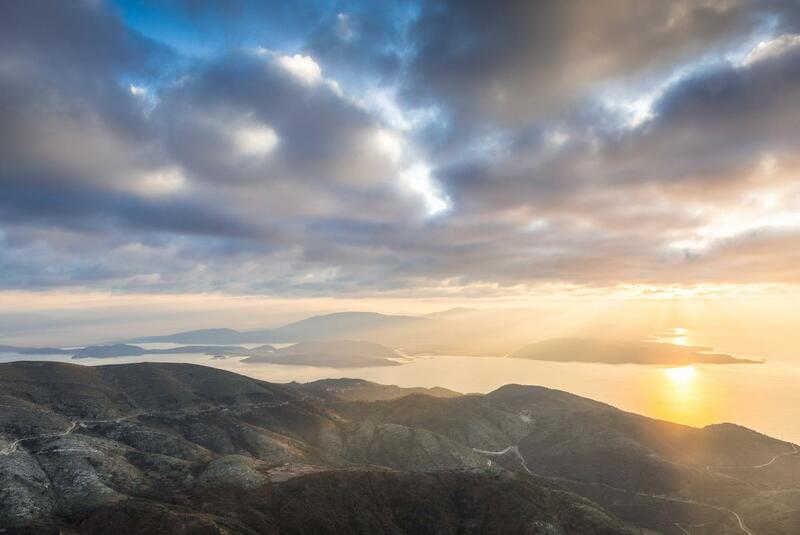 Would definitely stay in Kefalaki again. 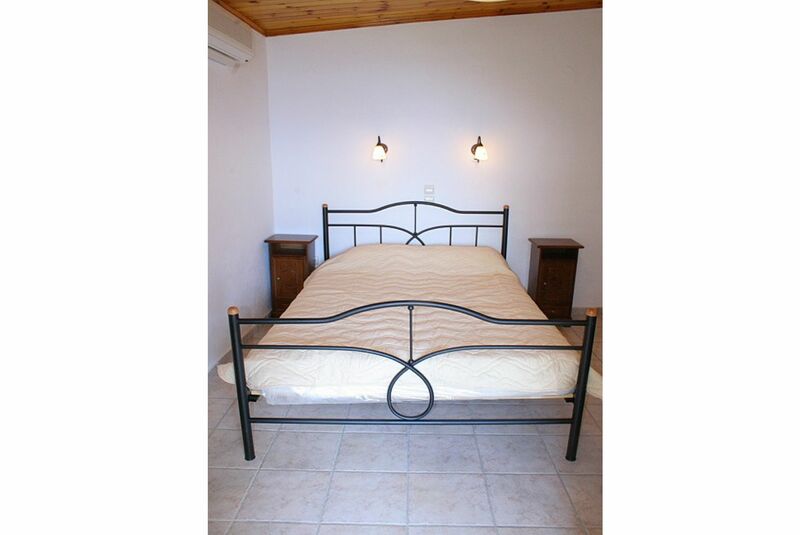 Quiet location not overlooked yet not far from shop tavernas and road. 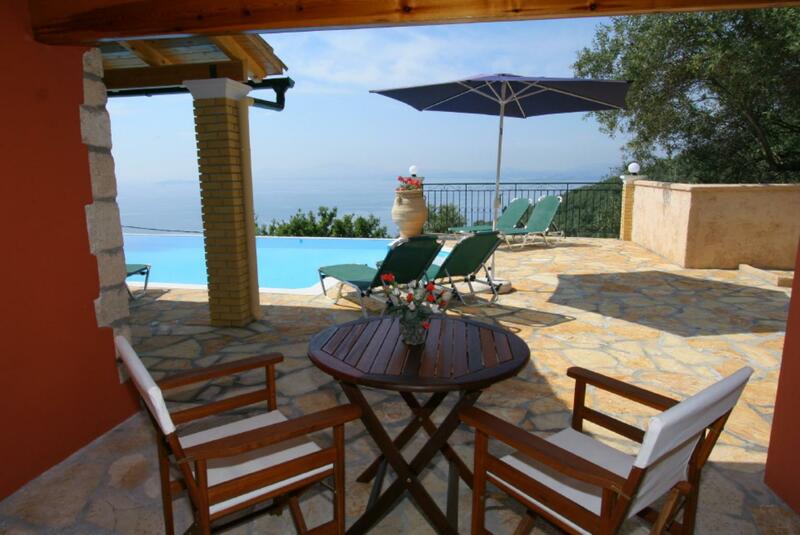 Great very nice villa superb views and great surroundings. Once we arrived we dumped the cases and the incredibly clean, inviting luxurious pool tempted us all in despite all being fully clothed - the pool being such a relief to the often 42 degree heat that week. The pool man came several times through the week filled and cleaned the pool so it always looked pristine clean and oh so tempting. 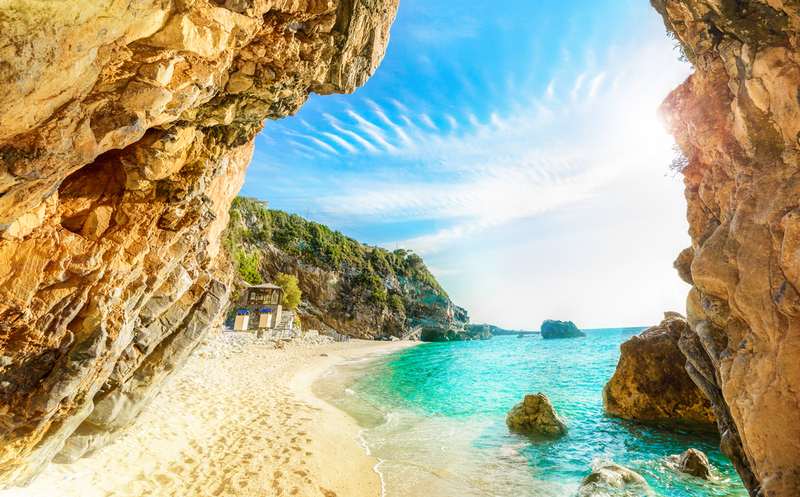 The little added extras and the additional thought the owners have added made our holiday much more of a relaxed enjoyable home from home experience. The adequately equipped kitchen, scissors even to open those awkward travel adapter plastic packets, garlic press, bottle openers, wooden spoons, colanders, graters, everything required to make a home from home family meal. There are books to suit all tastes cards and games, a TV with a couple of English channels, a laundry basket, a clothes airer, even a large bucket to take your wet clothes from the washing machine to the clothes airer. The Pound Shop do a mini packet of Daz which has 5 washes in it perfect addition to your case with beautifully dried clothes in next to no time. There is an outdoor BBQ which they even provided fire lighters and charcoal with outdoor lighting available when needed. The maid Kristina worked quickly and efficiently making things just right, making beds and leaving fresh linen laid out in an artistic beautiful fashion, using freshly picked flowers, emptying bins and stuff (another tip take some nappy sacks) she was super friendly kind and just genuinely lovely. Also a lovely gesture which guests have started, leaving small stones and pebbles around the traditional fireplace with their names date of stay and where they came from aarrrrrrr. All in all a wonderful highly recommended place to stay - will definitely go back! 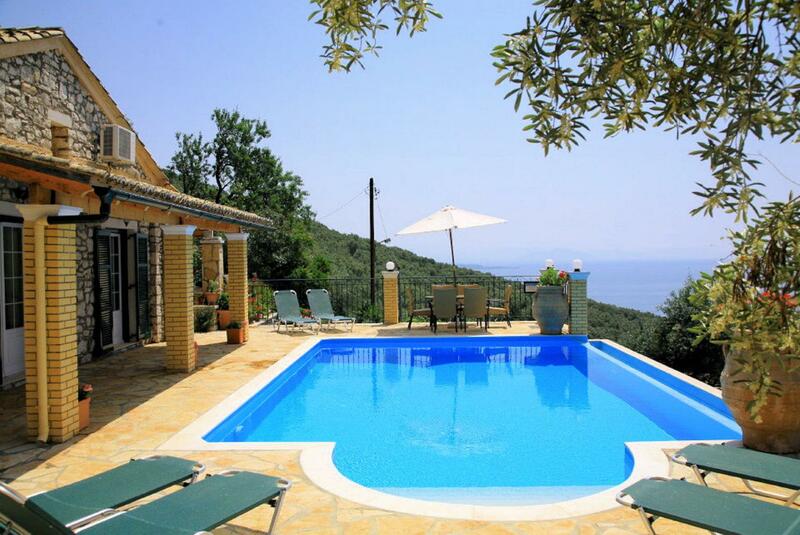 Amazing Villa with spectacular views from the infinity pool over to Corfu and Albania on a clear day. 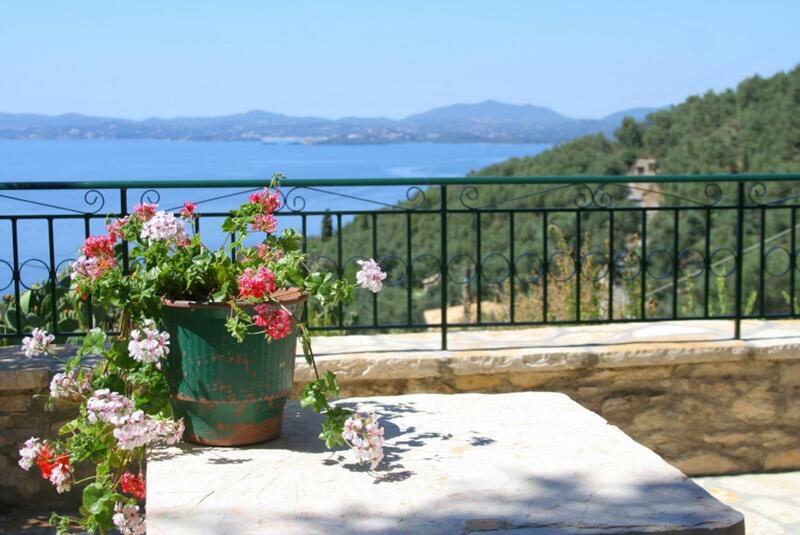 Cleaner, gardeners & pool man visited on a regular basis to maintain the property to a very high standard. Comfortable bedrooms with ample storage. 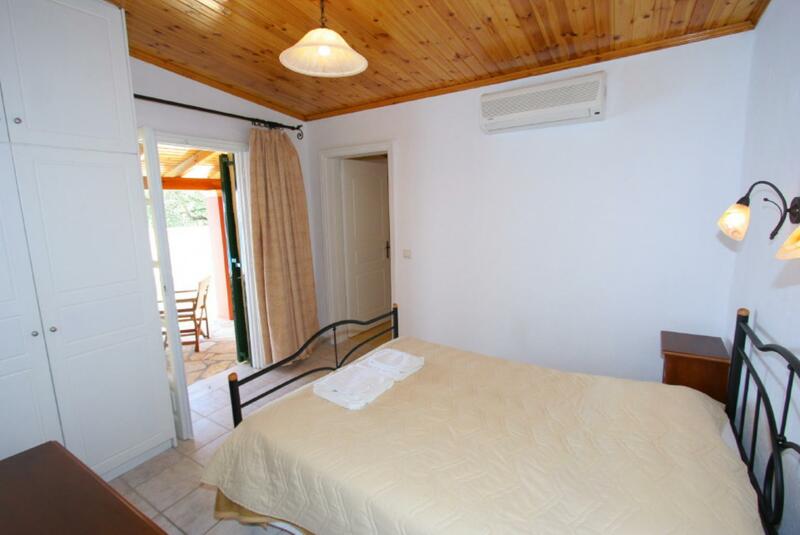 Master double bedroom with safe and en-suite with bath and washing machine and additional toilet with shower accessed from the lounge. Doors had shutters with glazed doors and screens so no beasties could get in. 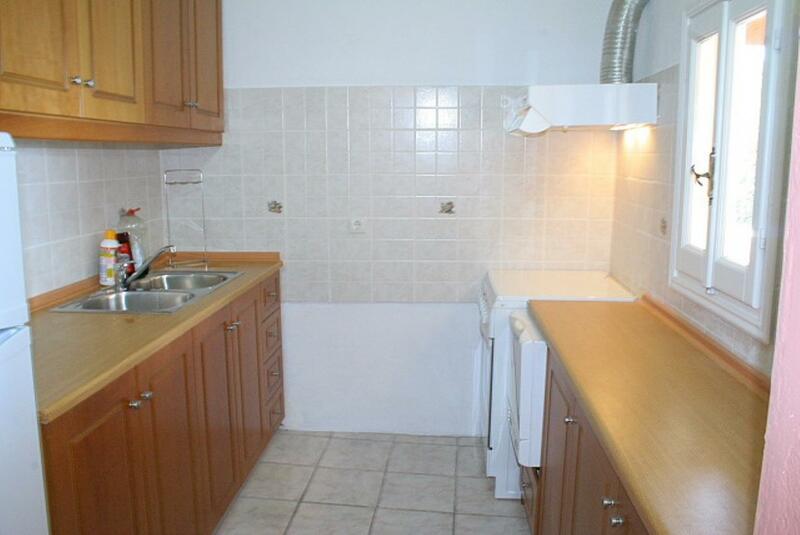 Very well equipped kitchen. Lounge with TV (never sat inside we were lucky with the weather) and free wi-fi. Ample outside seating areas with loads of areas under cover to sit and relax and take in the wonderful wildlife and read a book or 5. We decided not to hire a car and ultimately this was a Get Fit holiday with an approx. 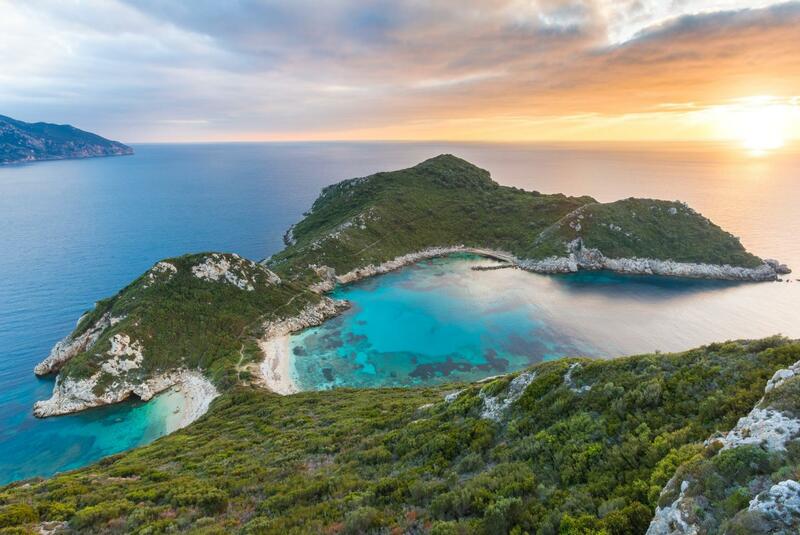 5 minute walk down to the shops and tavernas and a 20 minute hike back up the hill with the appropriate walking shoes and torches for the evening hike and the fireflies dancing in front of you lighting your way. 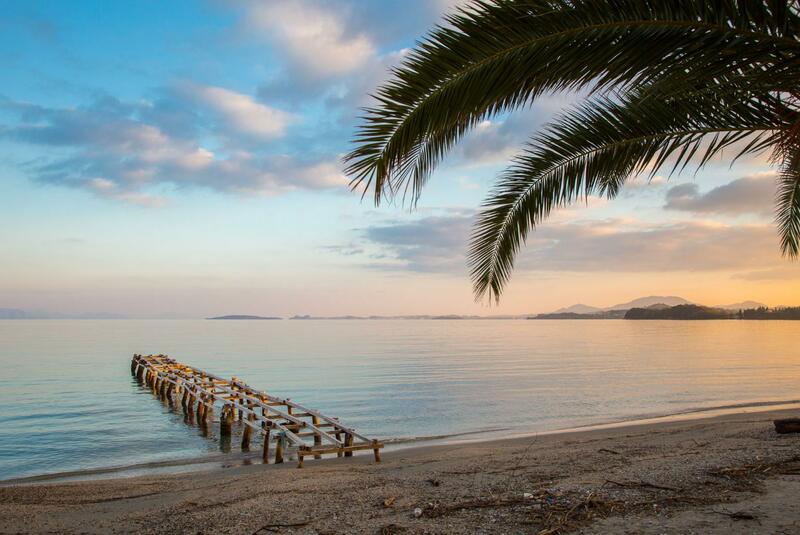 Aphrodites supermarket delivered shopping and you back to the Villa, very well stocked and took orders for fresh meat for the BBQ. The adjoining bakery served amazing, coffee and the home baked bread rolls ,spinach pie and cakes were to die for. The local tavernas also had the option of pick-up and return service if required and the Midnight Bar could deliver freshly baked pizzas. Such friendly helpful English speaking people. A fantastic chill out time was had and we will definitely use Agni Travel again. Terrific. Lovely clean pool. Good and friendly cleaner for the house. We were very happy. 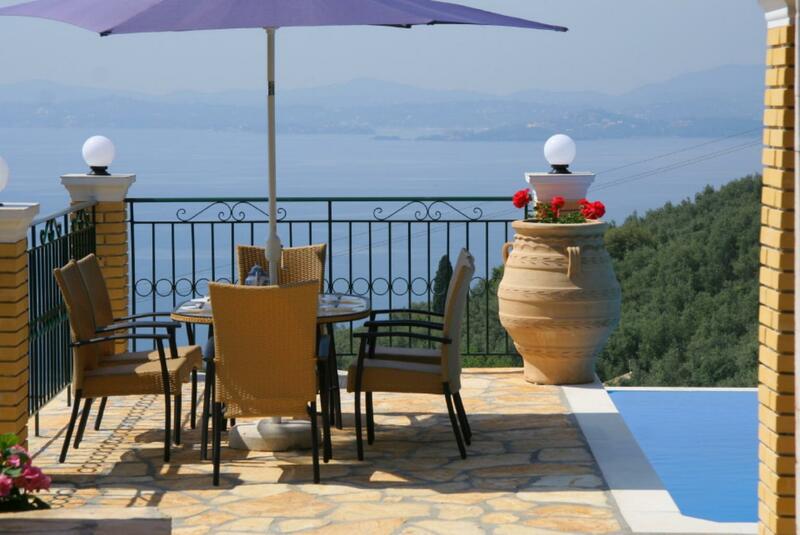 All in all a very nice villa in a lovely setting and we are planning our return visit in 2015. Many thanks to all the Agni staff. 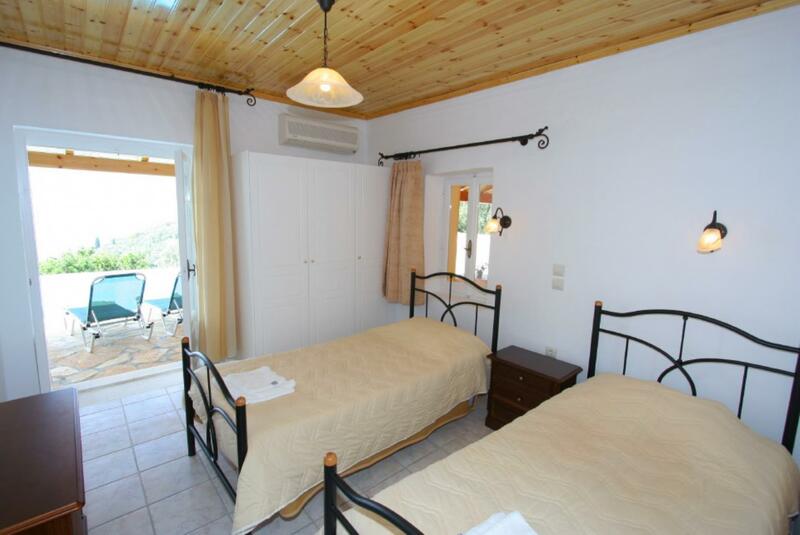 It was a lovely villa, particularly the bedrooms and outside space. The holiday was one of the best we have ever enjoyed. 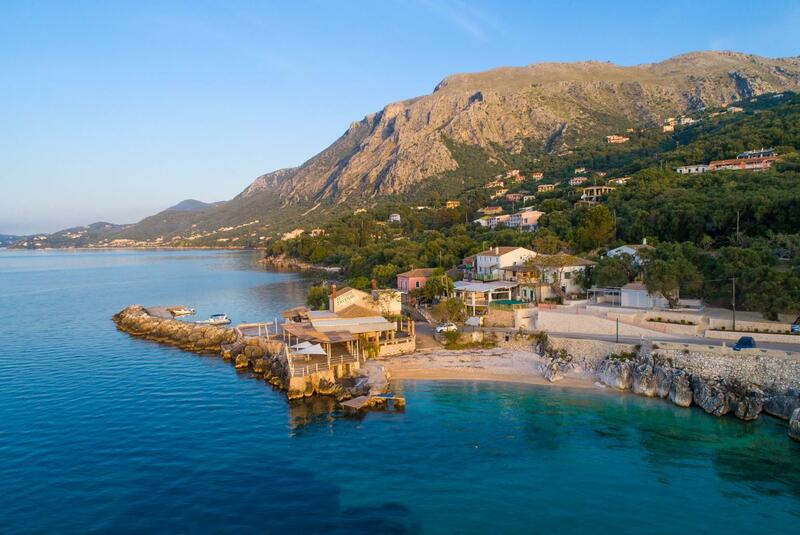 The villas location is stunning and we loved it there. 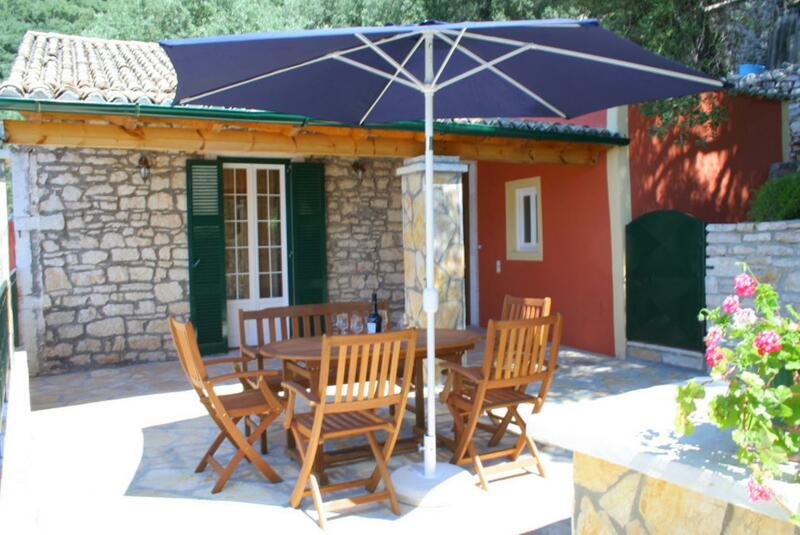 The villa is lovely traditional very private clean well equipped. 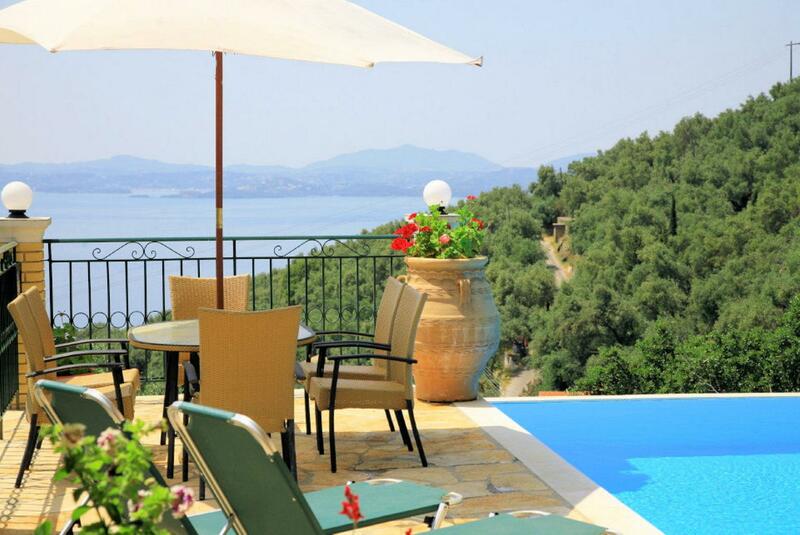 The view is beyond words across the infinity pool sweeping down the hill and over a huge vista of blue bay all the way across to Corfu town in the distance. 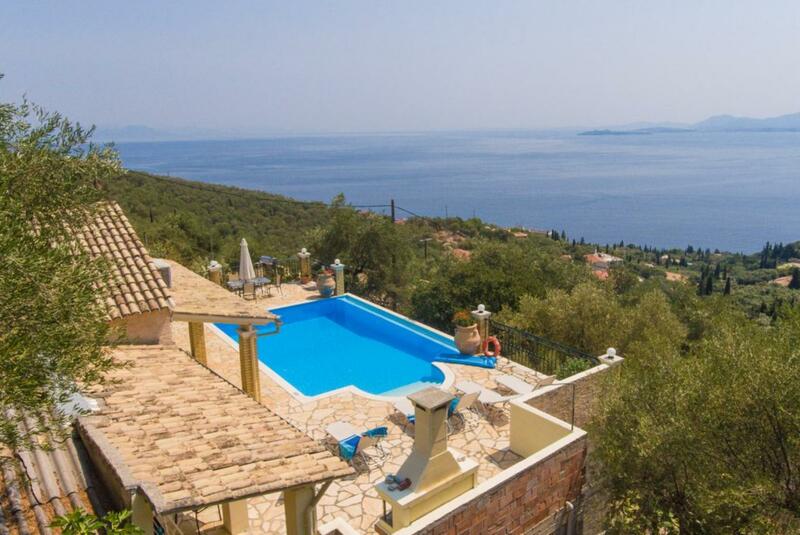 And of course look the other way and you are surrounded by the mountain tops behind.The service from Agni was outstanding from advising us about choosing a villa to meet our specific requirements to pre-travel information to keeping in touch during our stay. 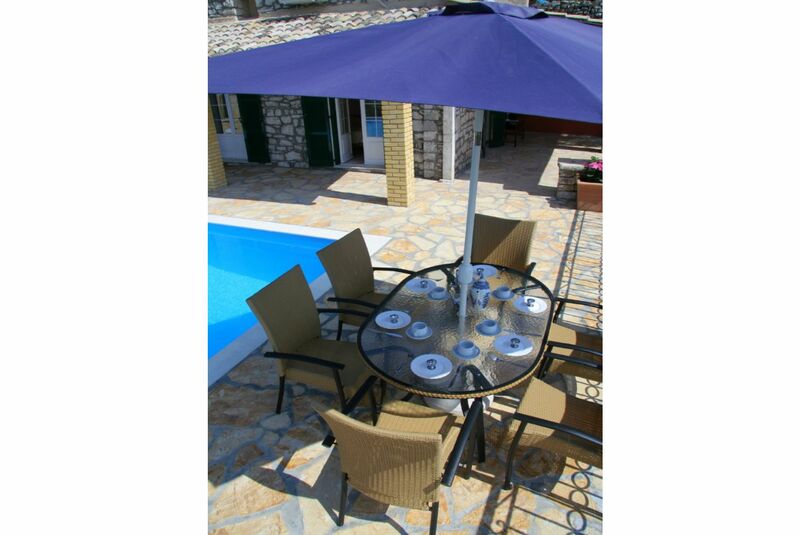 We asked for a sun umbrella in the late morning and it was with us by late afternoon.Simply wonderful. We really spent lovely holidays in Villa Kefalaki Wonderful that also there is now a TV The view to the Sea is great and we loved the pool. We had a perfect holiday really couldnt ask for more and we will definitely use Agni again next time asking them to arrange car hire and transfers too. 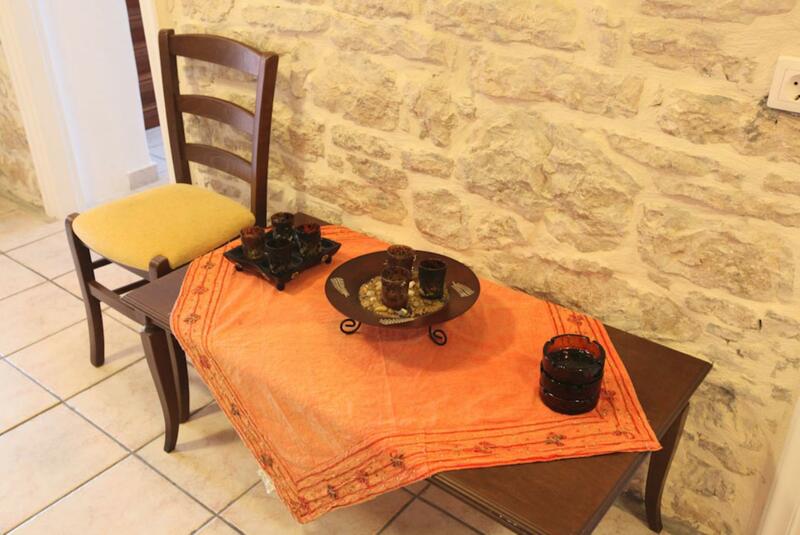 We enjoyed our holiday and would not hesitate to book with you again or recommend you to friends. 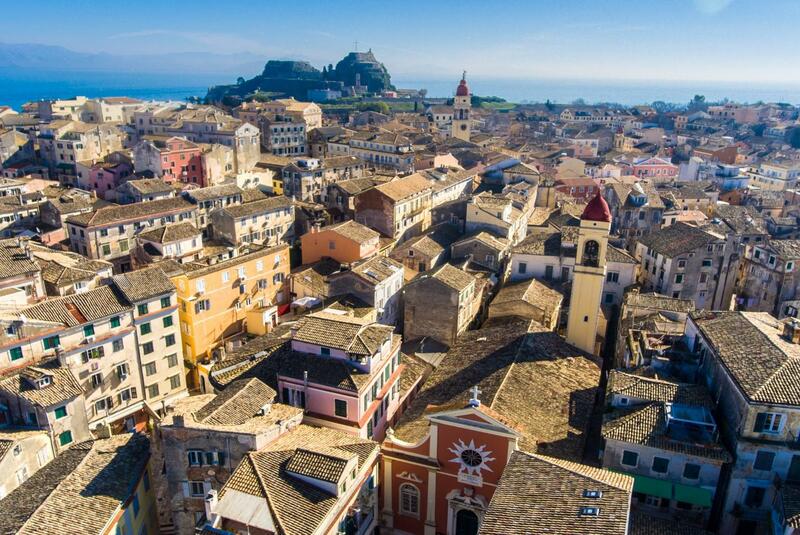 Our first time in Corfu and far above our expectations. 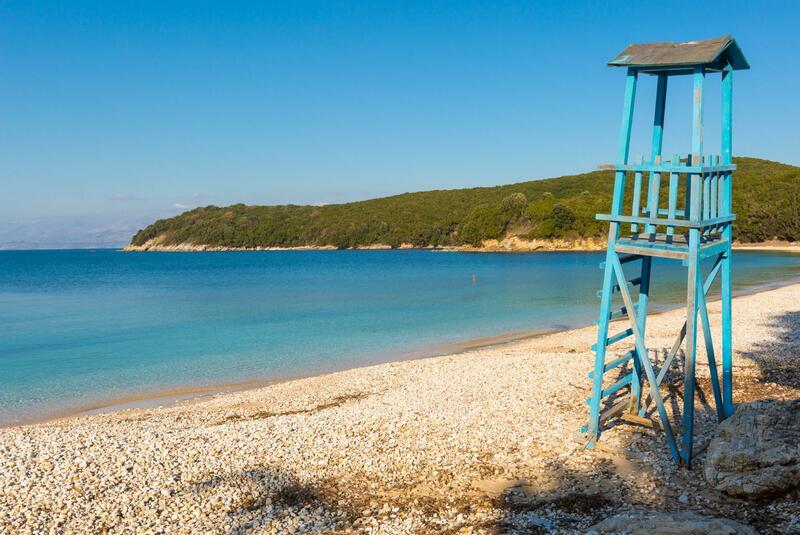 Nissaki is a small pretty resort with a horseshoe-shaped beach, offering excellent swimming and water sports. 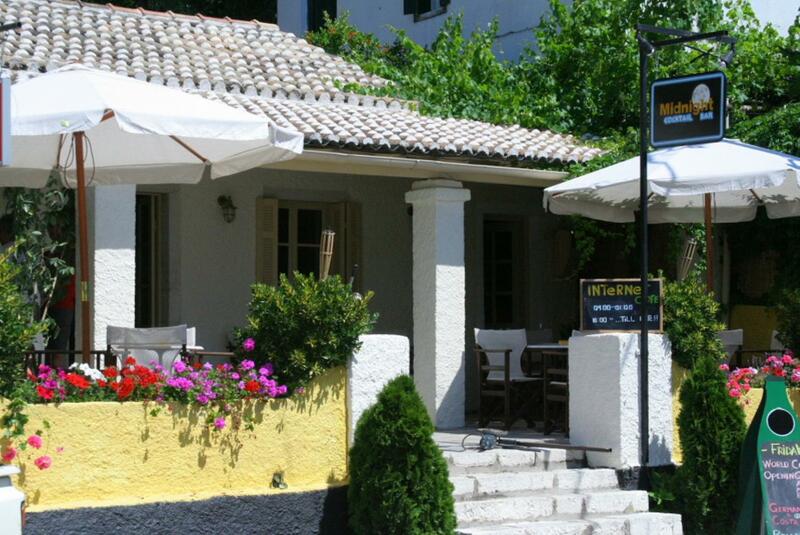 There are several tavernas specialising in local cuisine. 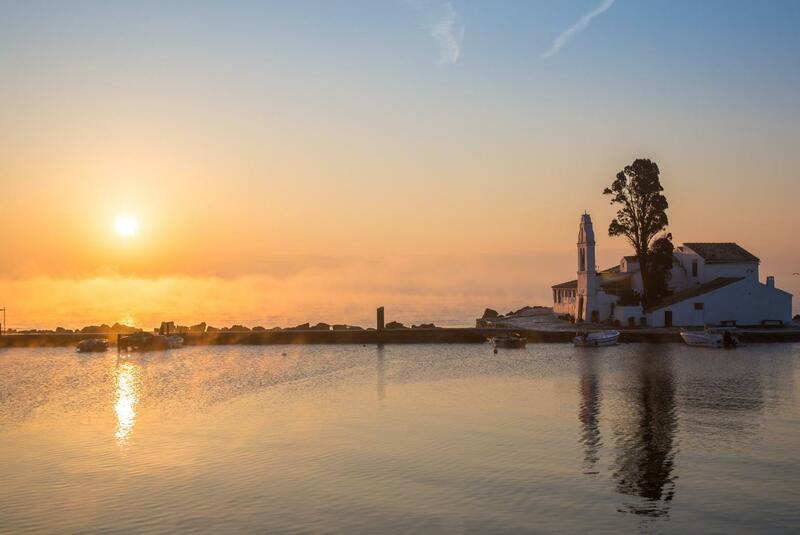 A small harbour shelters the many little fishing boats that are moored there and there is a jetty/collection point for the Taverna Agni water taxi which offers an evening service to Taverna Agni and a twice-weekly trip to Corfu Town. 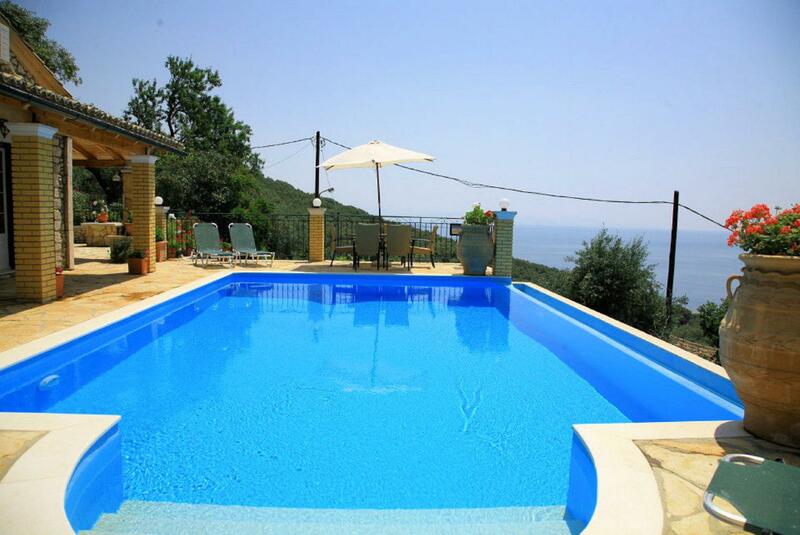 Villa Kefalaki was booked 3 days ago!